Are you looking for 3G package? Before you go to sign up for a mobile broadband package with a provider, you should compare their offers and technologies. The known way: visit providers website, call them or visit them. But I must tell you that is not easy and it is time consuming. You need to see all offers in one place. 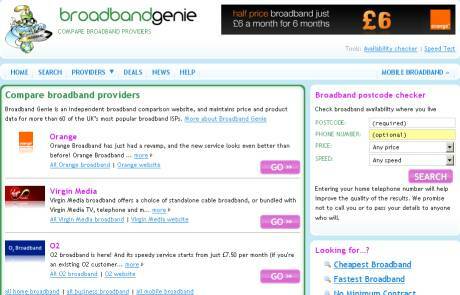 So, I search for you and I found broadbandgenie UK website. Here you can easily choose a good mobile 3G broadband package. They display presentation for Vodafone, T-Mobile, 3 Mobile, Orange, O2, Virgin Mobile and Carphone Warehouse. Also, on first page they present the best mobile broadband packages with details like: Setup fee, monthly cost, extra costs, max speed, download limit and their advice for the package. I find very useful the page with mobile broadband help. Here I can find what pay-as-you-go mobile broadband tariffs is or rumors about why Vodafone has been trialing the femtocell technology. If you don’t know too much about mobile broadband you can learn from their Mobile Broadband Beginners Guide, an excellent starting point. If you already have a mobile broadband subscription maybe you want to give it a test. 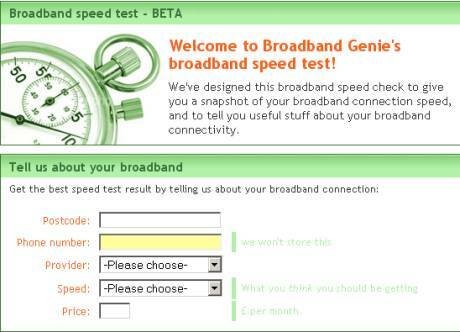 On the same website you can test it and find some useful stuff about your broadband connectivity.